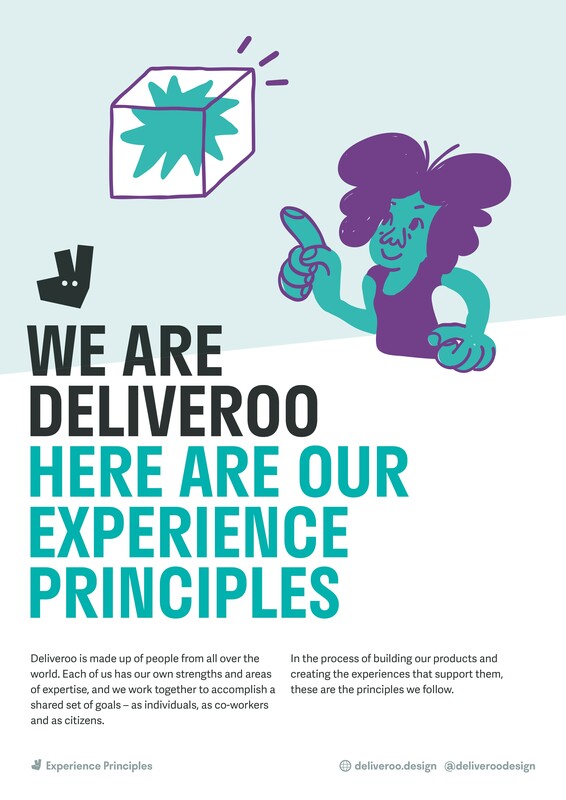 How we’re using Experience Principles to keep each other honest at Deliveroo. This is great. 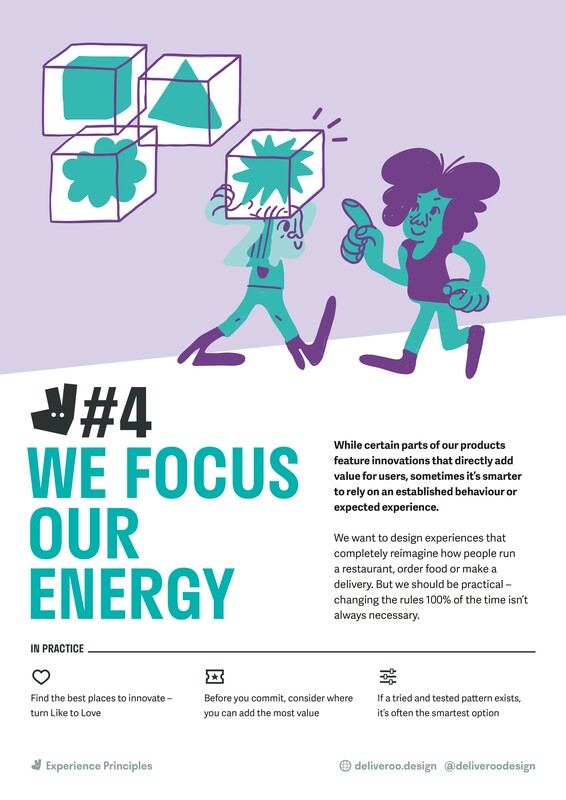 It means we can support the product teams as they grow (over 250 people now work in our product and tech organisation), we have capacity and time to do better work, and we can also think about what processes, rituals and artifacts we need as we grow. We’ve grown fast, which means change in our team culture has happened fast too. We’re very proud of the (incredible) people in the team, but sometimes you need more than talent when there are so many moving parts and everyone is embedded in their own product team and project, with less time to all hang out. We’re doing a few things to help us grow well — including setting up a UI infrastructure team to work on our design systems, constantly iterating on how we critique and review work and improving our working patterns and team rituals. But sometimes even these are hard to share across our disciplines. The other thing I notice– helping the rest of the business understand what we as designers, researchers and writers actually do is a constant task. I get asked the question ‘what does the product design team work on’ more often than I would have expected — despite the fact that our partners in the rest of the business are very smart and technically savvy. The fact is, from the outside it’s hard to understand how we think and what we’re up to every day. 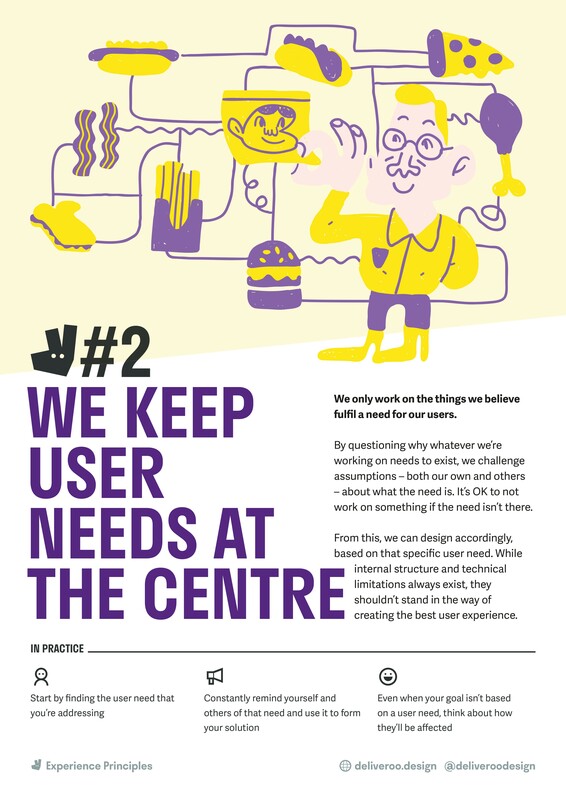 While the whole company doesn’t need to know exactly how the magic happens, the basic principles of user-centred design, empathy and designing usable interfaces would allow for design thinking to permeate further into the company culture and also allow us to share a lexicon when talking about our work. We wanted to align ourselves and educate those around us, so we started talking about principles — if we can’t explain everything we do, we can at least tell people some of the things that we believe. Allow us as a team to have better discussions about the quality of our output, and easily bring new joiners to the same shared conversations. Introduce conversations about user needs, scaleable design and things we care about to the product teams and wider organisation. Feel uniquely ours While it would have been tricky to write a set of good experience principles that no-one has ever used before, we wanted to make sure our tone of voice was clear in writing them. Feel directly actionable by anyone, even outside our team Our dream is that these principles are used in rooms that we’re not in. That means engineers, product managers, customer support folks, even up to our CEO, can find something they can use in them. Are general to all of our disciplines Our team (Content, Research and Design, acronym CRD) is made up of three equal but different disciplines. Going deep on principles that primarily related to only UI, or research techniques, wouldn’t have been usable to all three. Are opinionated (you could argue against them) It’s easy to write principles like ‘make things usable’ — there is no clear sacrifice to doing this, it’s just good practice. We wanted our principles to be opinionated and have some cost tradeoff, a proxy for which we decided was that we could point to exceptional companies who had chosen not to demonstrate them. This turned out to be really hard. Some were about being able to work more efficiently at scale, some were about ensuring we were designing for the right people, some were more about our internal working culture. We whittled these further, down to four immutable and clearly distinctive ideals. The answer is — these things aren’t always obvious to everyone. Designers, researchers and UX writers, and even other people in a product team, may read them and see them as no-brainers, but by being first principles-based and general, we can educate others too. By stating them we can double down on them ourselves and point at them to explain the things we say, and as we grow, new people on the team can read them and understand our beliefs immediately. There are only four so far, which has the added advantage of meaning I can remember them all without looking. We may add more in the future, or update these, but for now we’ve agreed on four things. That was hard enough. Below these sit team and discipline specific principles, which are much more focused on single user groups and execution. 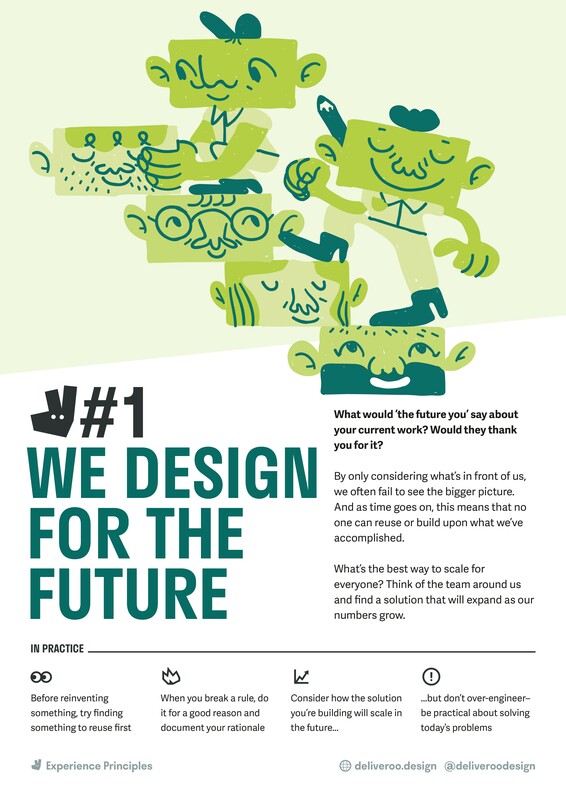 Teams can add and use those as they wish, but these four are enough for the business as a whole to get on board with what we’re up to and how we think. We’re at the start of this journey — building one of the pillars of our plans to scale design. Watch this space to see how these go!